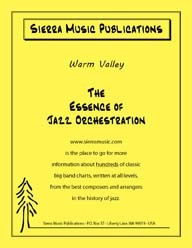 This great chart is recorded (1999) on the Azica CD "Swingin' the Blues. This wonderful Ellington classic is scored by the great Tommy Newsom to feature alto sax throughout. Nelson wrote an album for Johnny Hodges (Black, Brown and Beautiful, RCA) featuring the compositions of Duke Ellington and also some of his original things. 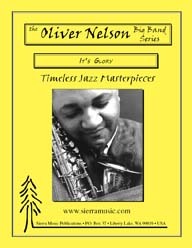 This wonderful, melodic Mercer Ellington tune is beautifully arranged by Tommy Newsom, and it is recorded on the Tonight Show Band CD "Once More With Feeling" (Amherst Records). When the Buddy Rich Band played this chart, everyone loved it! Oliver Nelson takes this terrific Duke Ellington tune to another level. Nelson wrote an album for Johnny Hodges (Black, Brown and Beautiful, RCA) featuring the compositions of Duke Ellington and also some of his original things. This is recorded on the Tonight Show Band CD "Once More With Feeling" (Amherst Records). 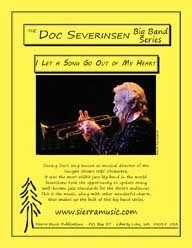 Don Sebesky has taken Ellington's melody and created a warm, sensuous chart which will be played for years to come.